A Calgary-based company announced a plan on Friday to invest $600 million in a new petrochemical upgrading facility that would make consumer products derived from propane. 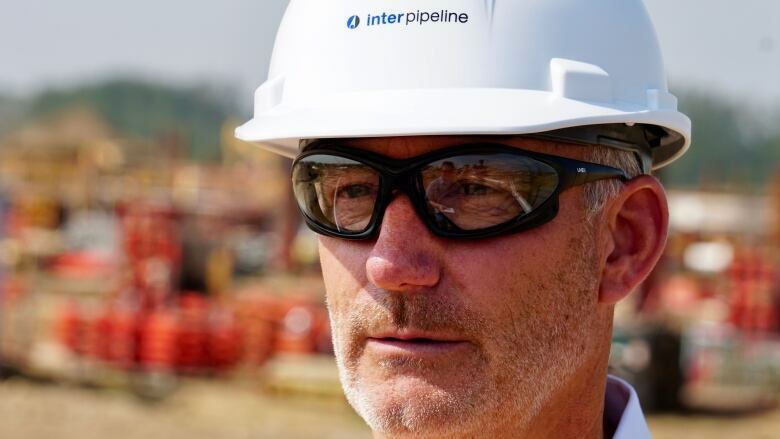 Inter Pipeline Ltd. would build the facility northeast of Edmonton and would be supported with up to $70 million in future royalty credits under the Alberta government's Petrochemicals Diversification Program. "This money helps this project go ahead," said David Chappell, a senior vice-president with Inter Pipeline, who announced the project alongside Premier Rachel Notley in Calgary. "This overcomes some of the extra capital cost." Construction would create about 600 jobs with another 50 long-term positions, Chappell said. The facility would make consumer products derived from propane, including acrylic acid that is used in many everyday consumer products, such as paints, super absorbent polymers and plasticizers, Chappell said. The facility would convert 60,000 tonnes per year of propylene and produce 80,000 tonnes per year of propylene derivatives, including acrylic acid, when operational. "For decades, Albertans settled for less while new jobs and investment went south of the border," said Notley. "We're proud to support upgrading projects like Inter Pipeline's because they mean more good jobs and top dollar for the energy resources that belong to all Albertans." Construction is expected to begin in 2021. Chappell said the financing deal is in the final stages and the memorandum of understanding (MOU) is almost ready. The province says its made-in-Alberta energy diversification strategy has unlocked about $12 billion in private investment in projects that will create more than 10,000 jobs through upgrading of the provinces' raw resources. "It's solidifying our place as an energy innovator," Notley said.